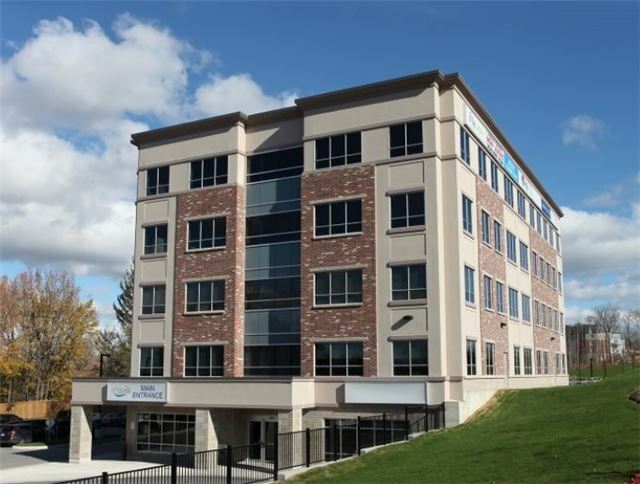 Incredible Opportunity To Lease In This Sought After Professional Medical Building. Unit Comprises Of 900 Square Feet And Is Located On The 5th Level. This Building Is Only A Few Years Old. The Primary Focus Of The Building Is On Senior Care, However It Offers A Wide Variety Of Medical And Other Professions. Located Close To Highway 400 And The Royal Victoria Hospital. Offering Rate Is Based On A 5 Year Term And May Be Subject To Rent Escalations.